The most important representatives of Protozoa, Sponges, Coelenterata, Vermes, Arthropoda, Insecta, Mollusca, Echinodermata, Acrania. 1(e). 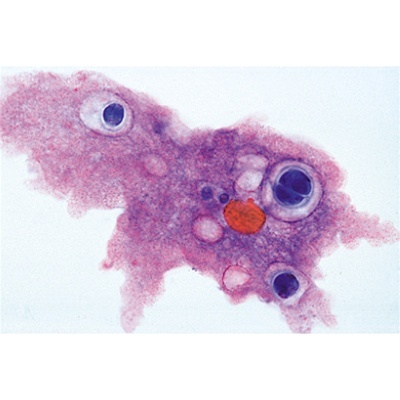 Amoeba proteus, w.m. 2(c). Euglena, a common flagellate with eye spot 3(d). Paramaecium, a common ciliate 4(c). Sycon, marine sponge, t.s. of body 5(e). 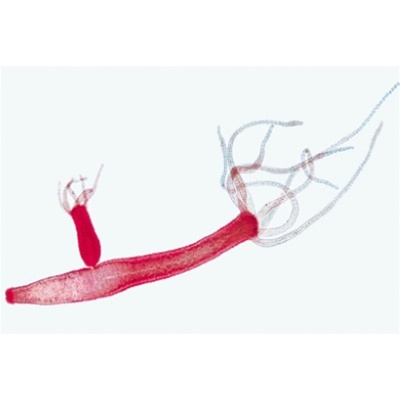 Hydra, extended specimen w.m. 6(e). 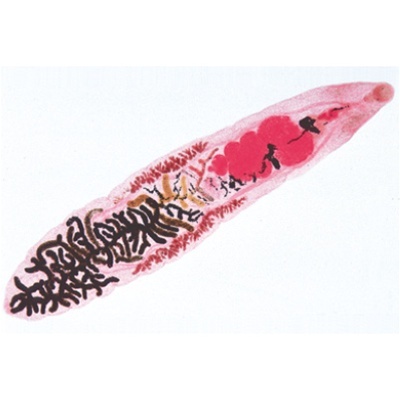 Dicrocoelium lanceolatum, sheep liver fluke, w.m. 7(c). 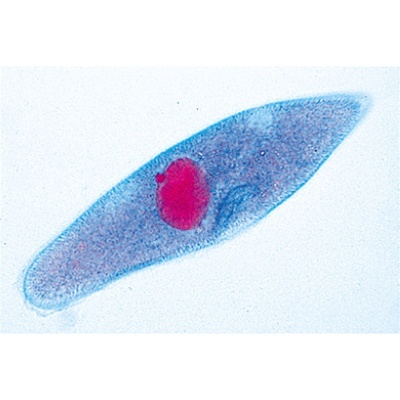 Planaria, t.s. of body 8(c). Taenia saginata, tapeworm, proglottids in different stages t.s. 9(d). Trichinella spiralis, l.s. of muscle with encysted larvae 10(c). Lumbricus, earthworm, t.s. of body in region of typhlosole 11(c). 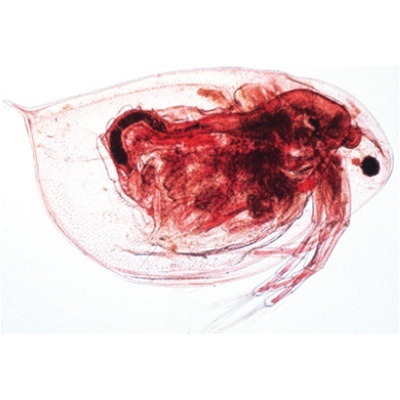 Daphnia, water flea w.m. 12(c). Cyclops, copepod w.m. 13(b). Spider, leg with comb w.m. 14(c). Spider, spinneret w.m. 15(c). Musca domestica, house fly, head and mouth parts w.m. 16(e). Periplaneta, cockroach, biting mouth parts w.m. 17(e). Apis mellifica, honey bee, mouth parts of worker w.m. 18(b). Musca domestica, house fly, leg with pulvilli w.m. 19(b). Apis mellifica, wings w.m. 20(b). Trachea from insect w.m. 21(b). Spiracle from insect w.m. 22(d). 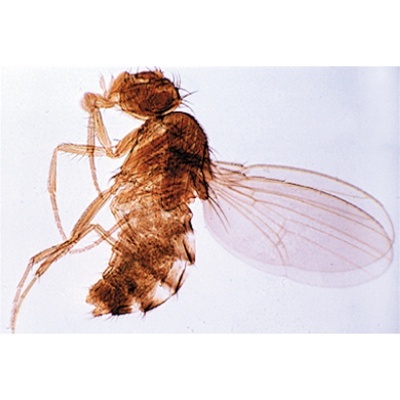 Drosophila, fruit fly, sagittal l.s. of adult specimen 23(d). Snail, radula w.m. or section 24(d). Snail, t.s. through body 25(d). Asterias, starfish, t.s. of arm (ray).